^ a b ジェイムス 1998, pp. 38-49. ^ アレクサンドリアのクレメンス: Stromata I 62, 2–3, cit. Eugene V. Afonasin, John M. Dillon, John Finamore, ed (2012). 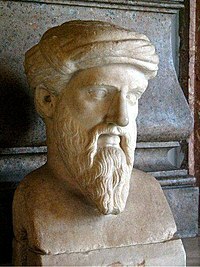 Iamblichus and the Foundations of Late Platonism. Leiden and Boston: Brill. 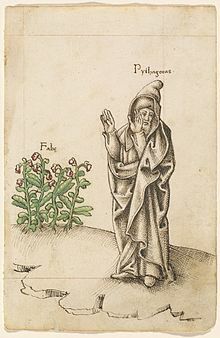 p. 15. https://books.google.com/books?id=teoyAQAAQBAJ&lpg=PA20&dq=neanthes%20of%20cyzicus%20pythagoras%20tyre&pg=PA15#v=onepage&q&f=false. ^ Joost-Gaugier, Christiane (2007). 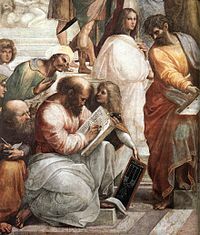 Measuring Heaven: Pythagoras and his influence in thought and Art. Ithaca and London: Cornell University Press. p. 21. https://books.google.com/books?id=Cf9Rj_ADZU4C&lpg=PA21&dq=neanthes%20of%20cyzicus%20pythagoras%20tyre&pg=PA21#v=onepage&q&f=false. ^ ジェイムス 1998, pp. 38-48. ^ a b ジェイムス 1998, pp. 49-68. ^ a b c d R. P. Winnington-Ingram, “Pythagoras”, The New Grove Dictionary of Music and Musicians, 1980 edition.